Harrison – Locarno is the Latin project of JUNO Award winning musician, Tom Landa. Like him, the music is equal parts Mexican and Canadian. Tom was born and raised in Mexico City, and moved to Canada in his teens. In the mid nineties he formed the Folk Roots band, The Paperboys, who have been touring world-wide for over 20 years. Tom has always dabbled in Latin music, and in 2005 decided to immerse himself more into genre, and started working on material for an album. In 2006 he was awarded a Canada Council Grant to study traditional Mexican Music in Veracruz, Mexico. Tom spent his days learning the jarana (an 8 string guitar), and learning songs from the Son Jarocho repertoire. Upon his return to Canada, Tom started working on what would be Locarno’s debut CD. 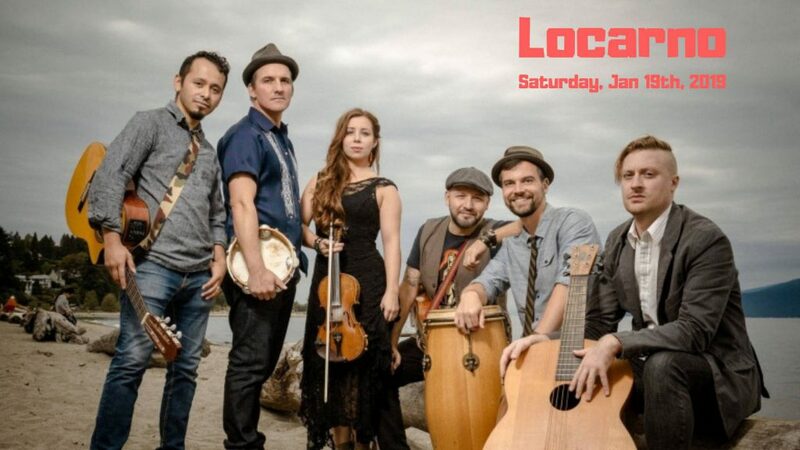 Locarno’s music has been described as comparable to popular Latin roots/fusion artists Manu Chao or Rodrigo Gabriela, however even though there are similarities, the group’s high energy, catchy and danceable music offers a highly infectious sound. With strong doses of Cuban Son, Folk Music, Pop and Funk, Locarno plays music that is heavily influenced by Mexican styles but uses the elements and musicians Tom has found in his hometown of Vancouver. The show begins at 8:00pm with doors opening at 7:30pm. Tickets will be available online through the link below, by phone at 604.796.3664, or in person at the Ranger Station Art Gallery or Agassiz Shoppers Drugmart. The Harrison Facebook page can be found here. Be the first to comment on "Locarno – Juno Winning Latin Artist – Harrison – Saturday January 19 (VIDEO)"